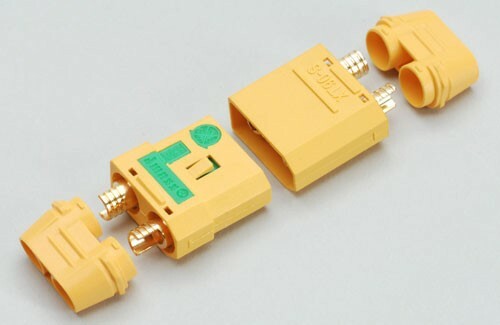 These XT90s heavy duty 4mm gold plated connectors are great for high power electric models. The ingenious design of the XT90s is the positive connector has an initial low current section so that when you first plug them half way in there is no spark. Once you press the two small tabs the connector can be fully connected allowing full current. This system helps to reduce the risk of a sudden power surge damaging your ESC when you first plug in. 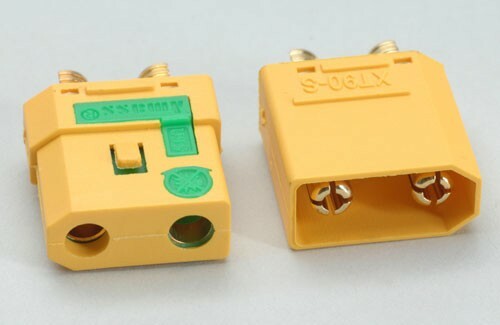 The design also provides no chance of incorrect polarity connection. Once soldered up there are plastic guards that clip on each connector giving you a neatly wired plug and helps to prevent short circuits.